We greatly appreciate people who, through intercessory prayer, support the Seminary Formation Council in all its projects at the service of the formation of Seminary personnel. This needs to be cultivated and particular commitments secured for the success and fruitfulness of our mission. 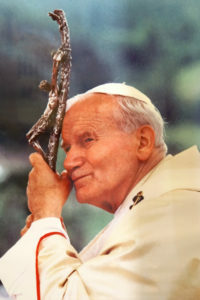 St. John Paul II, Pastores Dabo Vobis, #82. We are grateful to these communities or individuals who have pledged their commitment to intercede for the mission of S.F.C. Please fill in this form if you also would like to make a generous commitment to pray in intercession for the S.F.C. Mission. Thank you for choosing to support S.F.C. through prayer. Please fill in this form.